Bus accidents may be relatively uncommon, but they can be devastating for victims. Part of the reason is that most private and public buses lack the kind of safety equipment that now comes standard on most automobiles. So passengers aren’t as well protected as you’d think when a bus is involved in a crash. Meanwhile, pedestrians and passengers of other motor vehicles also tend to suffer catastrophic injuries when hit by a bus, due in large part to the bus’s size and weight. Another issue is that it can be a challenge to identify the cause of a bus crash—or even to identify which parties are potentially responsible for paying damages to victims. When you add up all of the challenges, it’s clear you want a qualified, compassionate, resource-rich law firm to represent you in a bus accident. Fortunately, South Florida residents have access to one in the form of Lake Worth-based Gonzalez & Cartwright, P.A., which has been representing accident victims in complex cases since the firm was co-founded by attorneys Adriana Gonzalez and Charles Cartwright in 2010. If you’re in need of a Lake Worth personal injury lawyer, Gonzalez & Cartwright should be your first call. At Gonzalez & Cartwright, P.A., we’re committed to protecting our clients’ rights to recover compensation for accident injuries caused by the negligence of a bus driver or bus company. We understand that it may be challenging for some of our fellow citizens to stand up to big business or government agencies to obtain the compensation that they deserve, so our attorneys and support staff are here to provide guidance every step of the way. And if you’re a member of our local Hispanic community, you may already be familiar with us or our community service work in the local area. 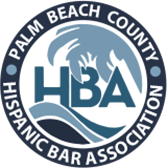 As a Hispanic-owned law firm, our office is bilingual, so we can sit down and discuss your case—and legal options—in either English or Spanish. If you’ve been injured as a passenger in a bus—or you were in a motor vehicle that was involved in an accident caused by a bus driver— don’t hesitate to give us a call. More than likely, we’ve already handled a case much like yours, as we’ve represented countless accident victims with all types of injuries, including; cuts and lacerations; back and neck injuries; broken bones and fractures; torn ligaments; traumatic brain injuries; partial paralysis and death. 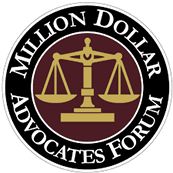 We’ve recovered a total of more than $30 million for our clients, typically getting them compensation for a variety of economic and non-economic damages. Two of the main responsibilities of a Lake Worth bus accidents lawyer are to help determine the cause (or causes) of the crash and to identify each and every negligent party who may owe compensation. Most commonly, bus accidents are caused by a fatigued bus driver, a distracted driver, an unqualified driver, or a bus that has been inadequately repaired or maintained. Once we’ve identified the cause of an accident and the potentially responsible parties, we negotiate with the involved insurance companies in an attempt to reach a fair settlement. If that effort does not lead to a satisfactory outcome for our client we bring a lawsuit, which often prompts more serious settlement negotiations. In most cases, we are able to obtain full and fair compensation for clients via a settlement, but we are always prepared to take a case to trial if necessary. At Gonzalez & Cartwright, P.A., we make it a priority to treat our clients with compassion and respect, and we work tirelessly to protect their rights so they focus on recovering from their injuries. Contact our office either over the phone or by filling out this online form, to schedule a free initial consultation to discuss your legal options. Our primary office is located in downtown Lake Worth, where most of our initial consultations take place. But if you aren’t able to travel, we can visit you at home or in your hospital room. Appointments for the free initial consult are also available in the evening or on weekends. FAQ: A member of my family was killed in a bus accident. Who can I sue for damages? It depends who is determined to be “at-fault” for the accident. If a bus driver was at fault, you may bring a claim against the bus company. If another driver was at fault, a lawsuit can be brought against that driver. In this scenario, it’s advisable to reach out to a Lake Worth bus accidents lawyer as soon as possible, one who can analyze the facts of your case and bring a wrongful death lawsuit. FAQ: I was injured while riding a bus, though the bus was not involved in an accident. Do I have a claim? It depends. The owner or operator of a bus is not necessarily liable for injuries that occur on their bus. But if the driver and bus company did not meet the appropriate standard of care to try to ensure a safe environment for passengers, you might have a claim. Again, you want to call a Lake Worth bus accidents lawyer to discuss what happened, at which point he or she can advise whether you have a case and talk about next steps.